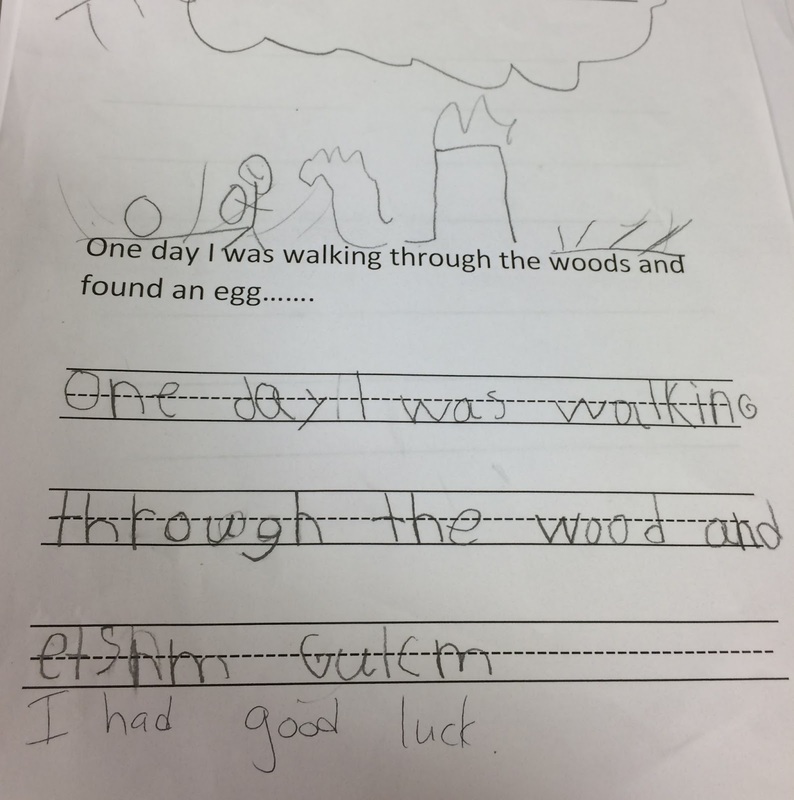 Although I believe in letting students write what they would like to write about during our Writer's Workshop, I also think it's important to give them opportunities to write from a prompt. 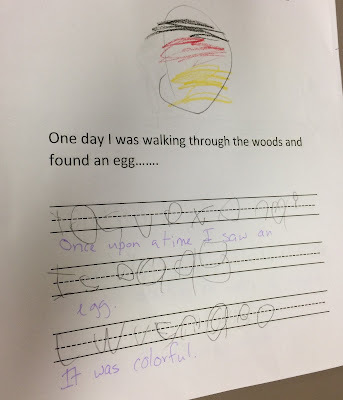 We read several books about mysterious eggs and then I asked them to write their own story. 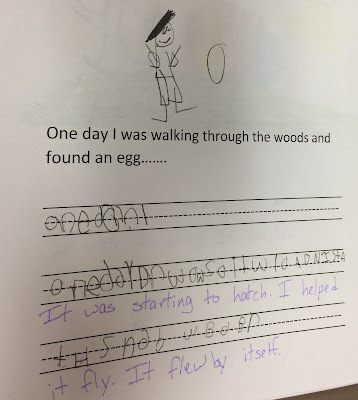 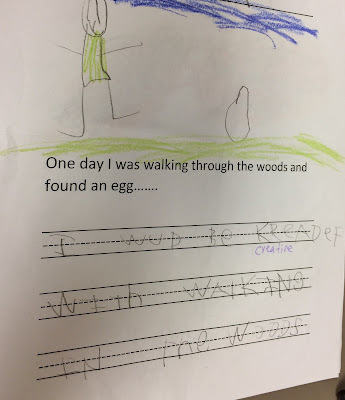 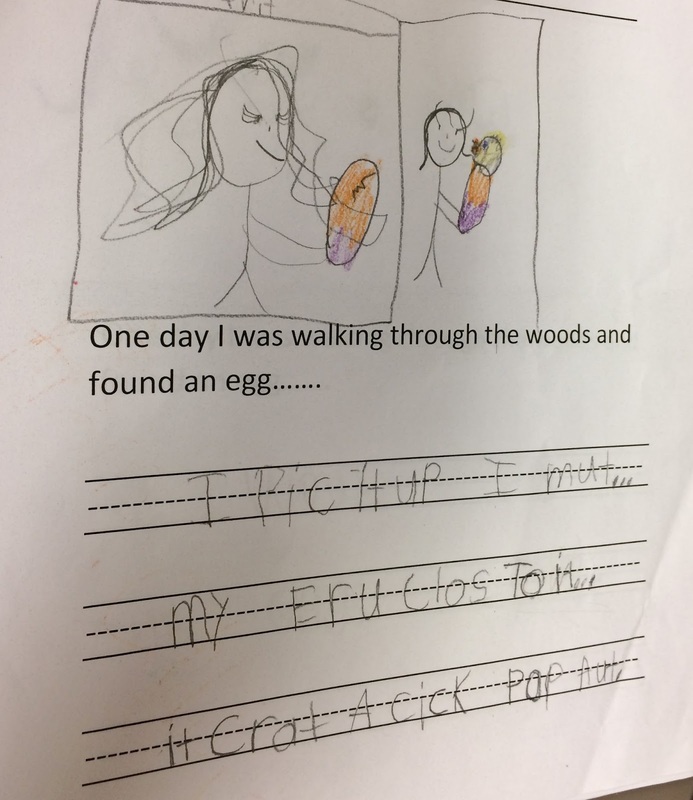 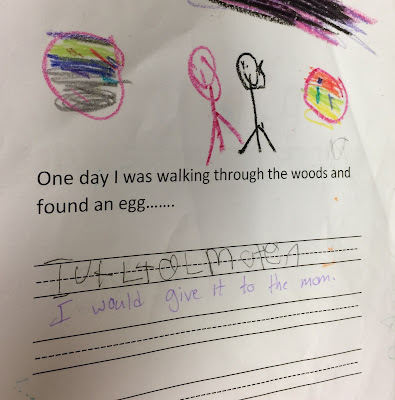 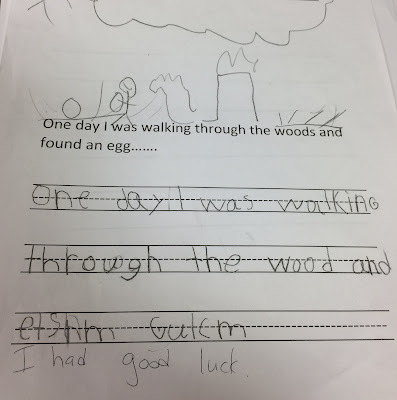 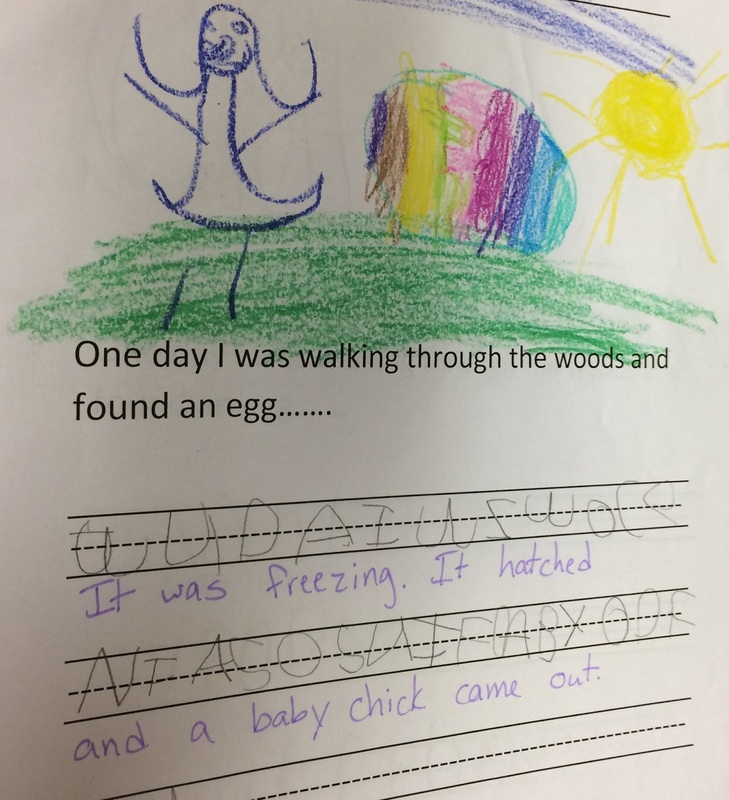 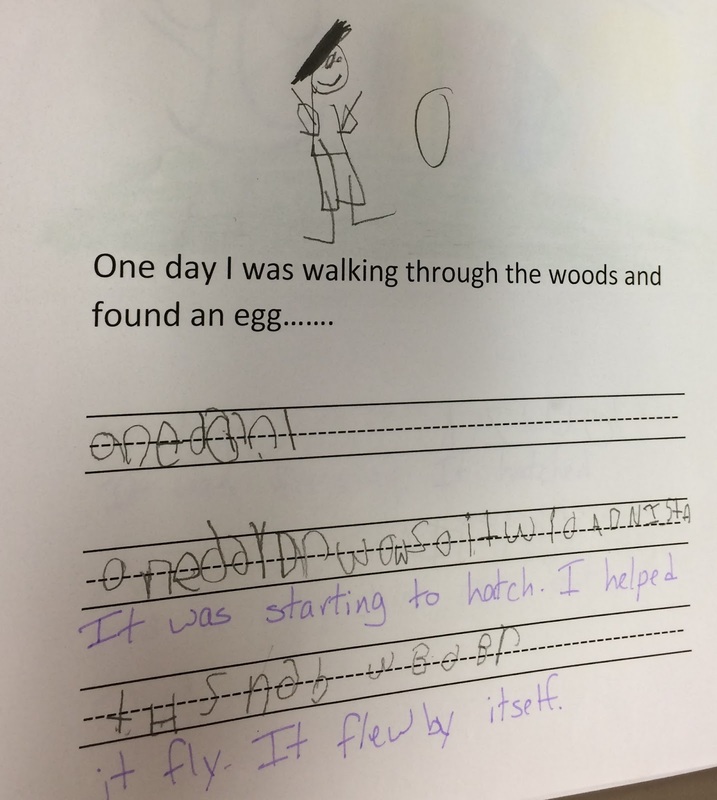 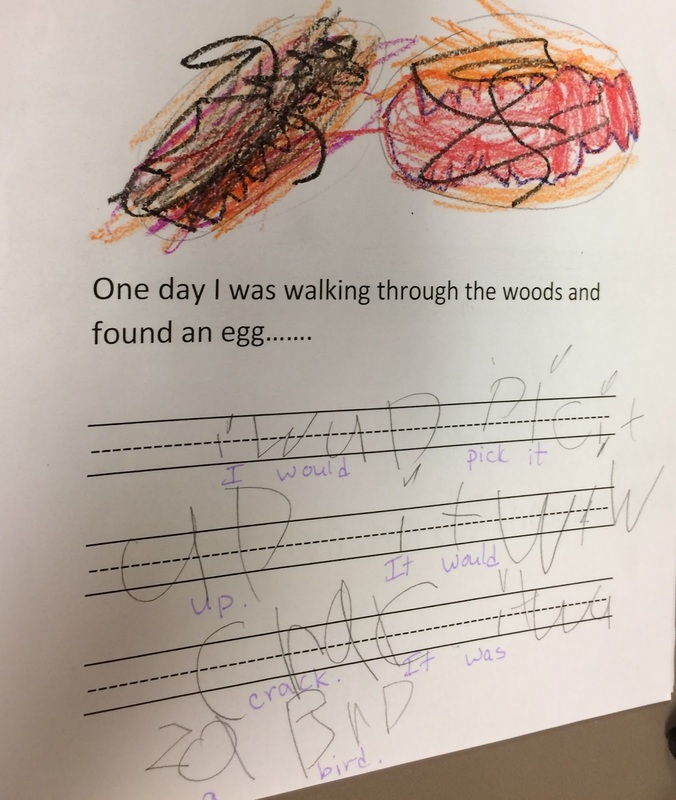 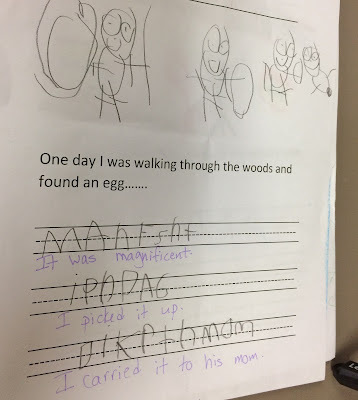 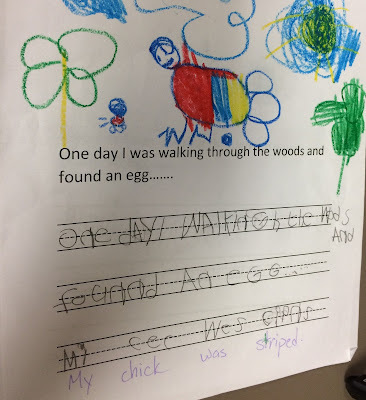 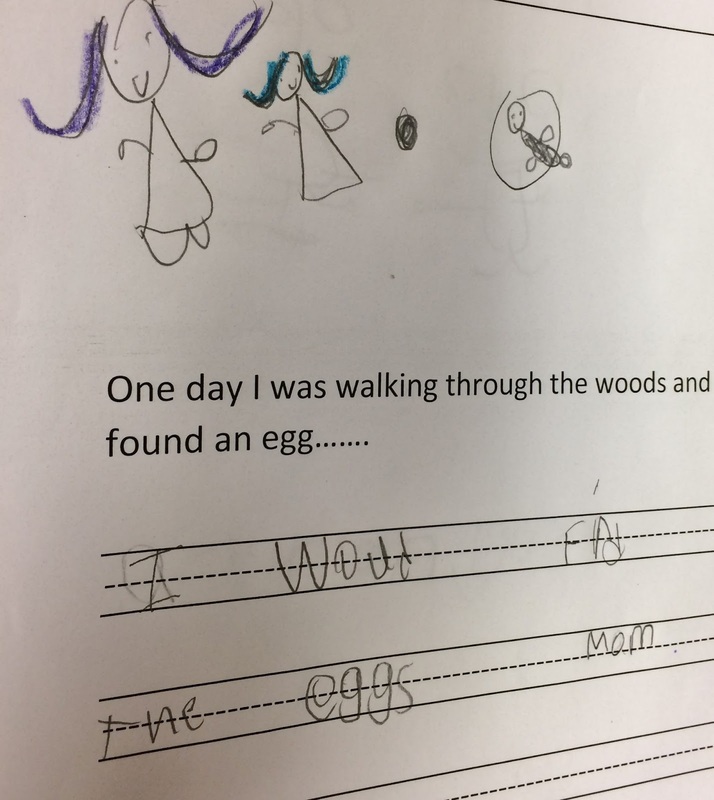 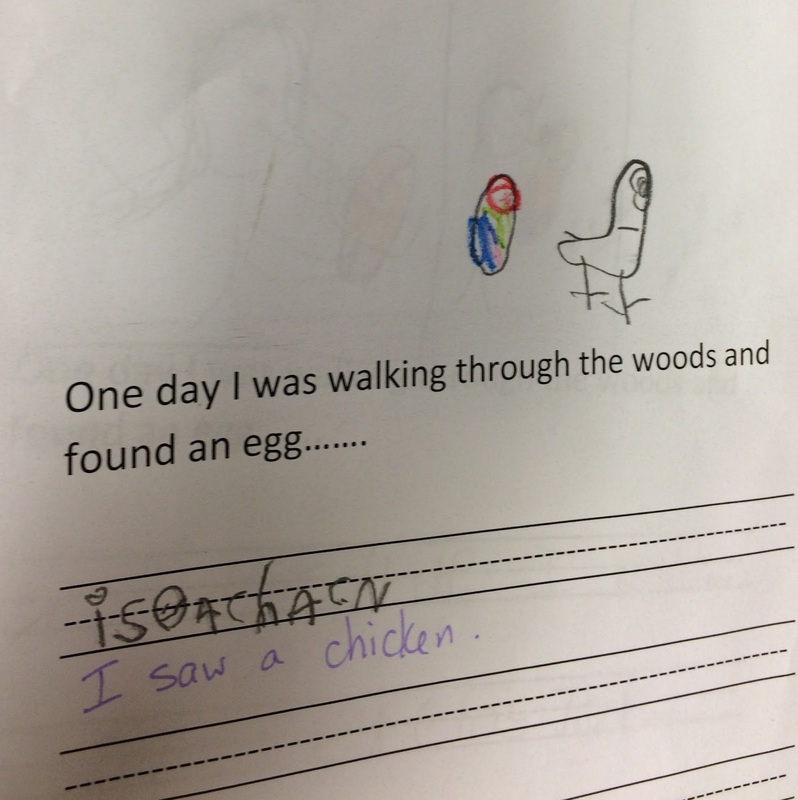 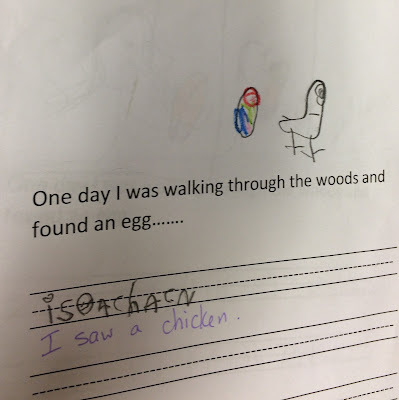 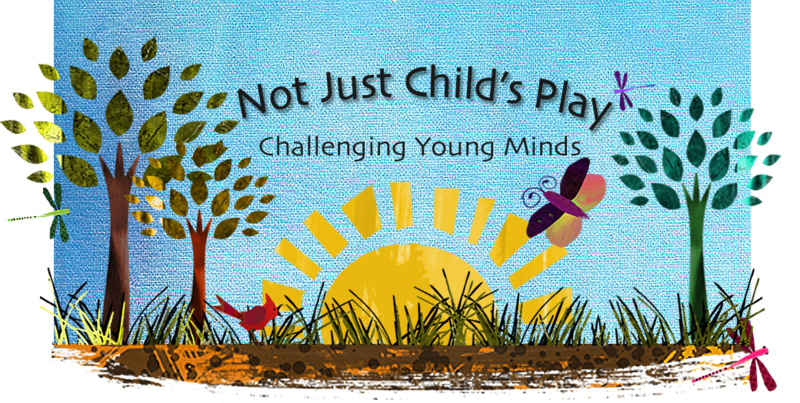 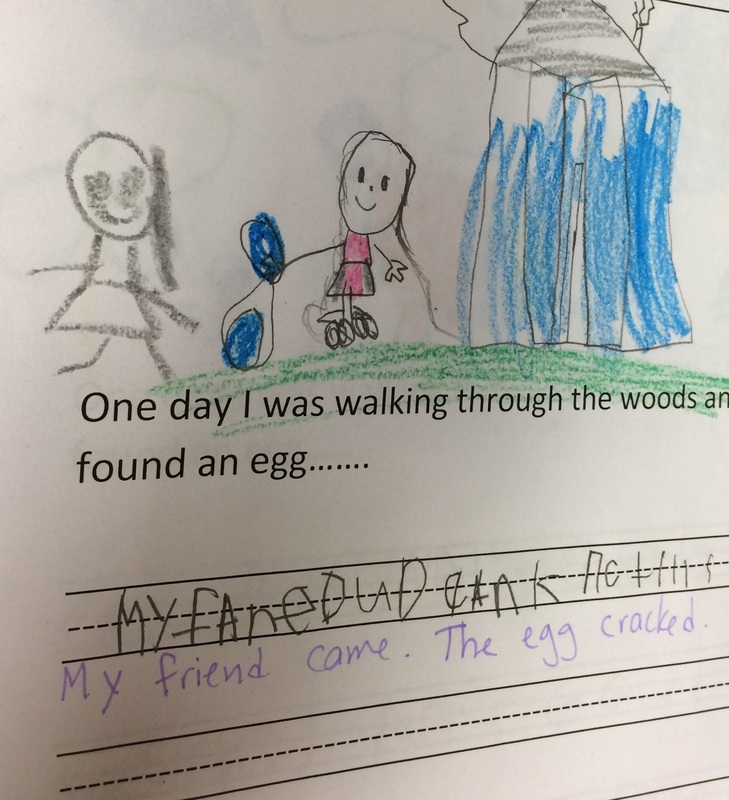 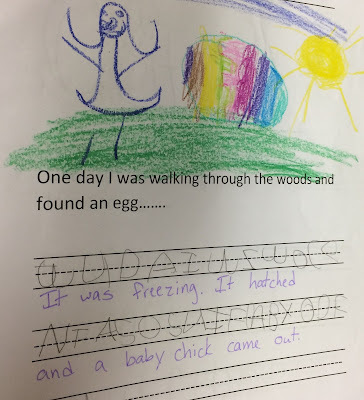 It begins with "One day I was walking in the woods and found an egg....". 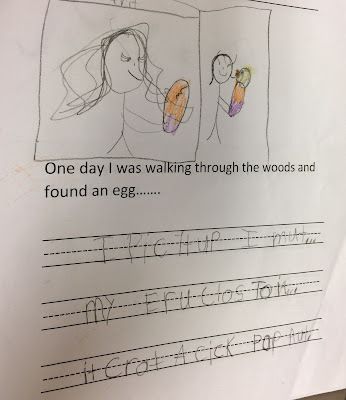 I picked it up, put my ear close to it. 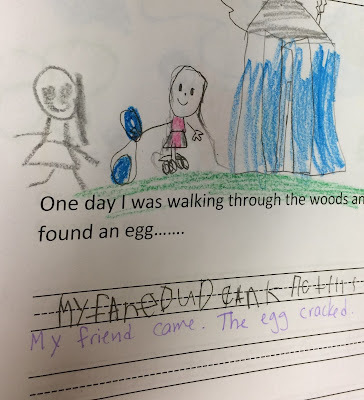 It cracked a kick, pop pop.